A man was shot and killed Wednesday evening outside a Dunkin' Donuts in the 5200-block of West Fullerton on Chicago's Northwest Side. 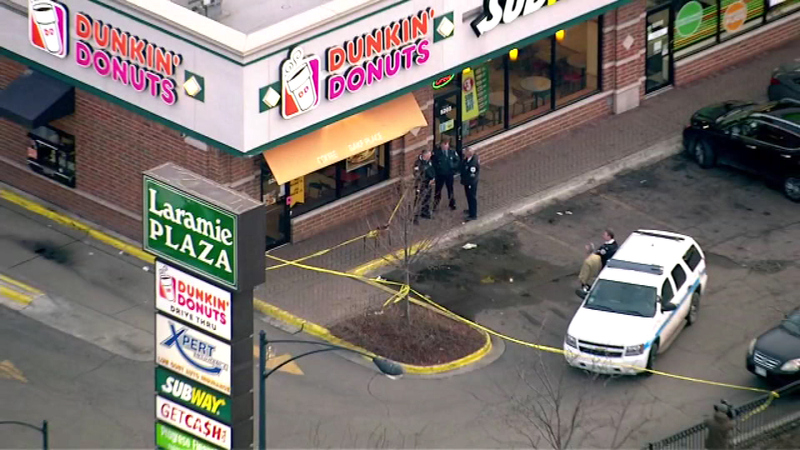 CHICAGO (WLS) -- Alexander Gonzalez, 25, has been charged with first degree murder in connection with a fatal shooting outside a Dunkin' Donuts in the city's Northwest Side. Police say a 25-year-old victim was shot in the stomach and wrist around 5:30 p.m. March 25 at the store, located in the 5200-block of W. Fullerton Avenue. Gonzalez was arrested after being positively identified by a witness, police said. He was also allegedly in possession of a controlled substance when taken into custody and charged accordingly. He is due in bond court Sunday.